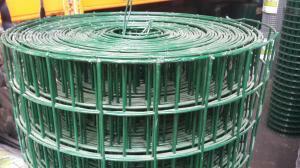 1.2m high x 10m long roll of green PVC coated steel weld mesh garden fencing manufactured from 1.7mm diameter galvanised wire (2.2mm when coated) that has a unique crimped wire for additional strength. The green mesh fencing is PVC coated providing a further level of rust protection and a colour suitable for garden fencing and in and around allotment areas. 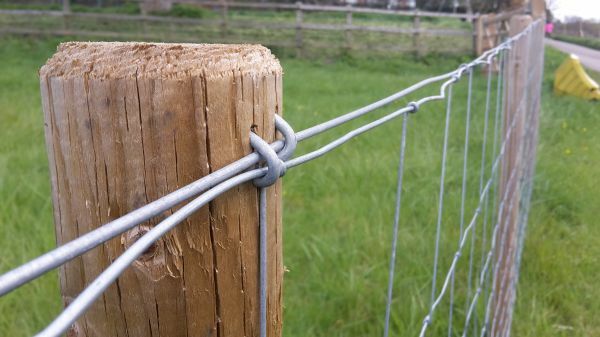 Often referred to as PVC coated Holland Mesh or Eurofence, the mesh is a fantastic and strong option for those garden borders, hedgerows, pet control areas and amenity fencing. 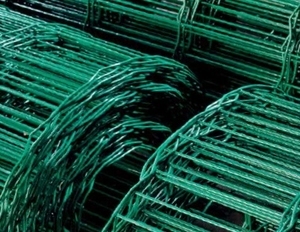 Green PVC coated weld mesh garden fencing mesh is available on 1200mm x 10m rolls making it an cost-effective solution for even the smallest of garden applications. 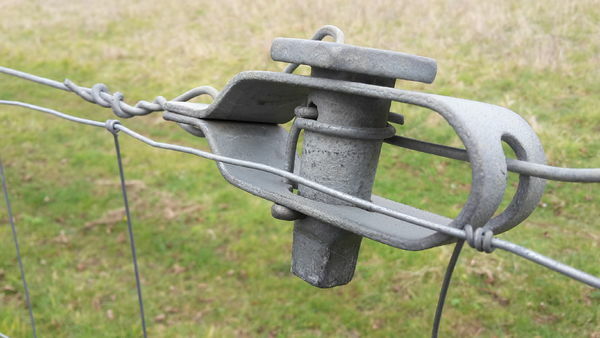 The fencing is made by welded the wire to form the characteristic 50mm x 100mm rectangular mesh apertures (2"x4" inches) - The holes sizes at the top and bottom get small for extra rigidity (top row is 50mmx25mm). 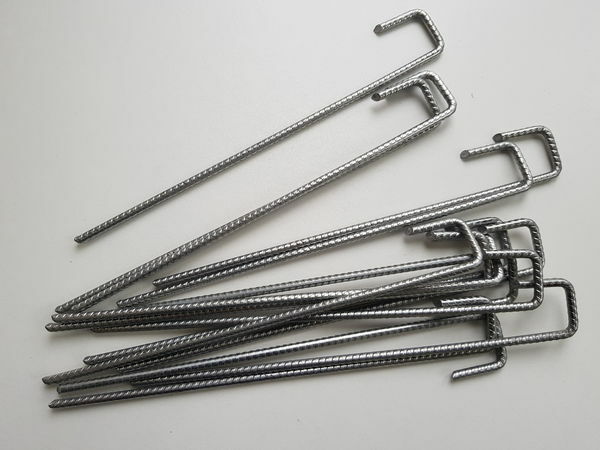 The PVC Holland meshes crimped design provides additional strength by providing rigidity. 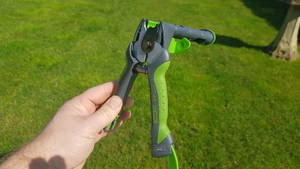 The steel wire core diameter is 1.6mm which is welded, galvanised and encapsulated in a green PVC plastic coating which makes the mesh attractive and corrosion resistant. Green PVC Holland border fencing mesh is also suppliedin a 1mtr wide roll height. 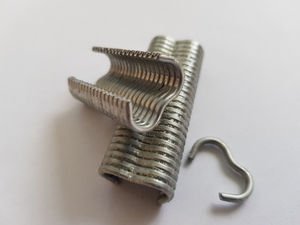 We also stock a large range of fencing staples and u-nails, fencing line wire and other PVC and galvanised welded wire mesh.